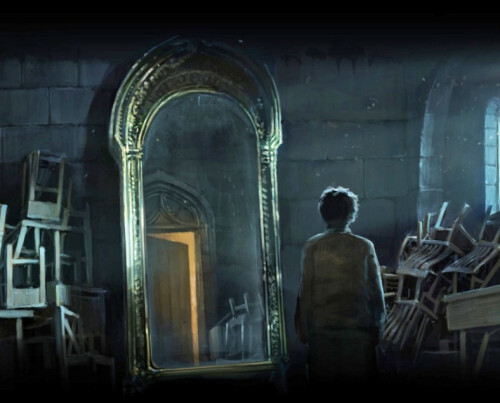 Harry Potter author J.K. Rowling revealed some exciting new information about the ‘Potter’ family lineage over at Pottermore today. She also revealed, at long last, the names of Harry’s grandparents — Fleamont and Euphemia Potter. The Potter family is a very old one, but it was never (until the birth of Harry James Potter) at the very forefront of wizarding history, contenting itself with a solid and comfortable existence in the backwaters. In the Muggle world ‘Potter’ is an occupational surname, meaning a man who creates pottery. The wizarding family of Potters descends from the twelfth-century wizard Linfred of Stinchcombe, a locally well-beloved and eccentric man, whose nickname, ‘the Potterer’, became corrupted in time to ‘Potter’. Linfred was a vague and absent-minded fellow whose Muggle neighbours often called upon his medicinal services. None of them realised that Linfred’s wonderful cures for pox and ague were magical; they all thought him a harmless and lovable old chap, pottering about in his garden with all his funny plants. His reputation as a well-meaning eccentric served Linfred well, for behind closed doors he was able to continue the series of experiments that laid the foundation of the Potter family’s fortune. Historians credit Linfred as the originator of a number of remedies that evolved into potions still used to this day, including Skele-gro and Pepperup Potion. His sales of such cures to fellow witches and wizards enabled him to leave a significant pile of gold to each of his seven children upon his death. Linfred’s eldest son, Hardwin, married a beautiful young witch by the name of Iolanthe Peverell, who came from the village of Godric’s Hollow. She was the granddaughter of Ignotus Peverell. In the absence of male heirs, she, the eldest of her generation, had inherited her grandfather’s invisibility cloak. It was, Iolanthe explained to Hardwin, a tradition in her family that the possession of this cloak remained a secret, and her new husband respected her wishes. From this time on, the cloak was handed down to the eldest in each new generation. The Potters continued to marry their neighbours, occasionally Muggles, and to live in the West of England, for several generations, each one adding to the family coffers by their hard work and, it must be said, by the quiet brand of ingenuity that had characterised their forebear, Linfred. Occasionally, a Potter made it all the way to London, and a member of the family has twice sat on the Wizengamot: Ralston Potter, who was a member from 1612-1652, and who was a great supporter of the Statute of Secrecy (as opposed to declaring war on the Muggles, as more militant members wished to do) and Henry Potter (Harry to his intimates), who was a direct descendant of Hardwin and Iolanthe, and served on the Wizengamot from 1913 – 1921. Henry caused a minor stir when he publicly condemned then Minister for Magic, Archer Evermonde, who had forbidden the magical community to help Muggles waging the First World War. His outspokenness on the behalf of the Muggle community was also a strong contributing factor in the family’s exclusion from the ‘Sacred Twenty-Eight’. Henry’s son was called Fleamont Potter. Fleamont was so called because it was the dying wish of Henry’s mother that he perpetuate her maiden name, which would otherwise die out. He bore the burden remarkably well; indeed, he always attributed his dexterity at duelling to the number of times he had to fight people at Hogwarts after they had made fun of his name. It was Fleamont who took the family gold and quadrupled it, by creating magical Sleekeazy’s Hair Potion ( ‘two drops tames even the most bothersome barnet’ ). He sold the company at a vast profit when he retired, but no amount of riches could compensate him or his wife Euphemia for their childlessness. They had quite given up hope of a son or daughter when, to their shock and surprise, Euphemia found that she was pregnant and their beloved boy, James, was born. Fleamont and Euphemia lived long enough to see James marry a Muggle-born girl called Lily Evans, but not to meet their grandson, Harry. Dragon pox carried them off within days of each other, due to their advanced age, and James Potter then inherited Ignotus Peverell’s Invisibility Cloak.